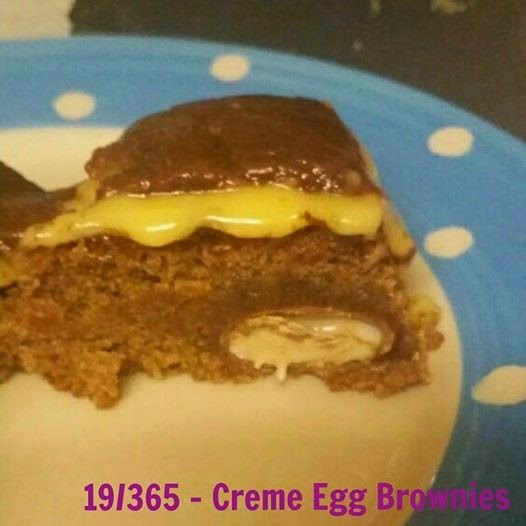 Last year i found a recipe for Creme egg brownies that was so good i almost gave the family diabetes from making it so much. I made a copy of the recipe and put it in my wee book for safe keeping. Unfortunately that book, along with a few others on a shelf in my kitchen, was damaged when water decided to leak through from a pipe in my bathroom to my kitchen, (directly where i kept my cook books). Safe to say i was none best pleased. Its a year plus on and i see that Cadbury's have released their Creme eggs again for the Easter season which got me thinking about the brownies. 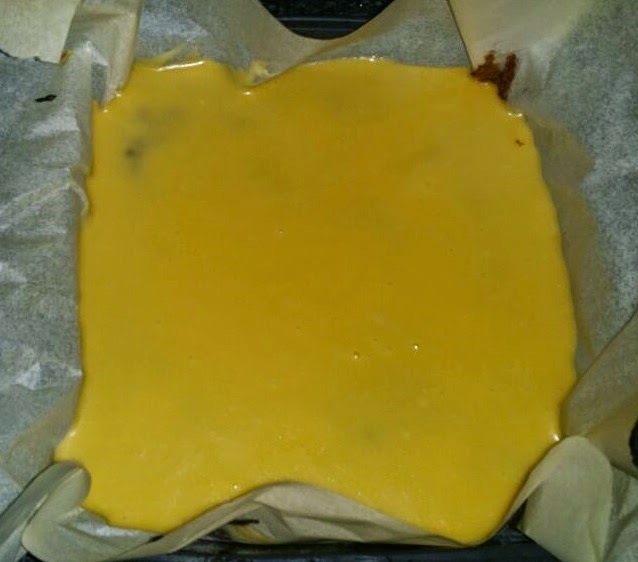 Preheat the oven to 180C and line a 20cmx20cm cake tin (make sure you have extra paper at the top so its higher than the tin). In pan, melt the butter and chocolate together over a low heat. Stir constantly and make sure the mix doesn't burn. Take the off the heat and beat in the eggs and vanilla extract, then the sugar. Sift in the flour and cocoa powder. 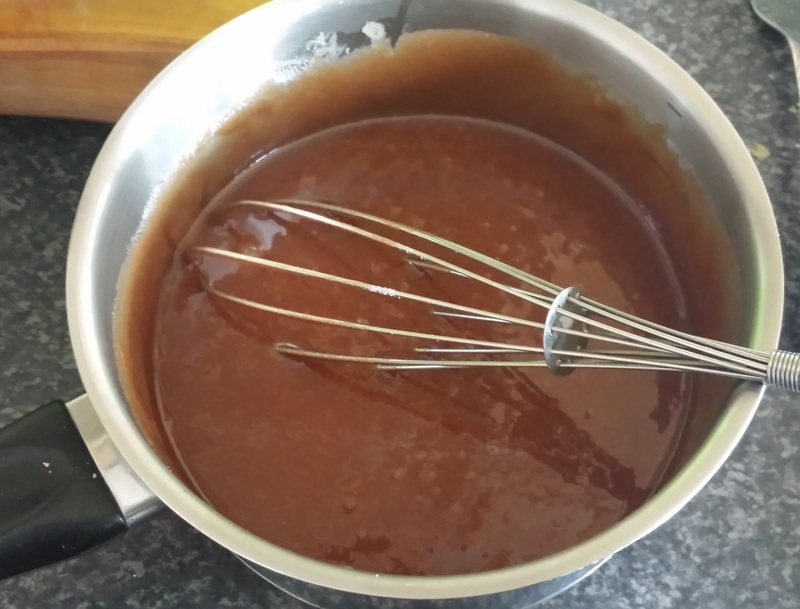 Fold it into the mixture until just combined. 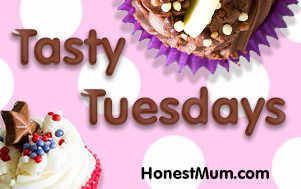 Pour into tin and drop in the mini creme-eggs, pushing them right down into the brownie mixture. Bake for 25 minutes and remove from the oven. Remember brownies will continue to set as they cool. Spread over the top of the brownies and chill in the fridge for about two hours or until set. Finally, melt the butter and chocolate together in a heavy based pan. Pour over the top of the brownies and leave to set. 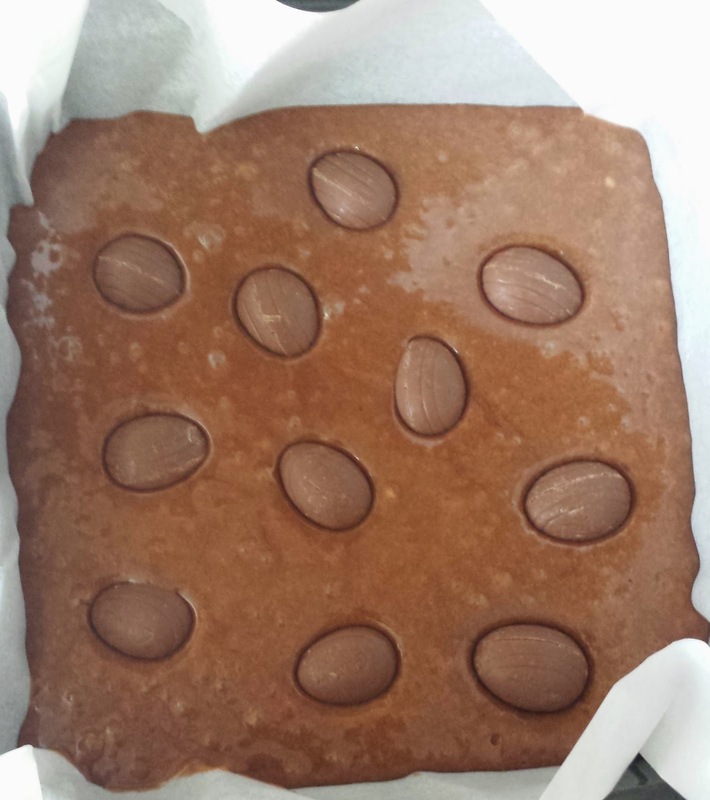 These brownies are very rich in chocolate so i tend to cut them into thin slices but you can make as big as you like. ** Disclaimer - I take no responsibility for any addiction to and subsequent tummy ache from eating too many of these delicious brownies. Bake with caution.